Anorexia nervosa, commonly known as Anorexia, is a psychological as well as an eating disorder. It can be life threatening in certain cases. It entails a situation in which the individual’s body weight is extremely low in relation to the individual’s body mass index. Develop soft, fine hair growth on the face and the body, called lanugo. Develop fixation about food, recipes, etc. Irregular heart rhythms & low blood pressure. Onset of puberty causes hormonal changes accompanied by feelings of stress and anxiety. Individuals are exposed to the media to a large extent and they are influenced by it. The media often portrays thin and petite individuals as aspirational body types and distorts standards of beauty, this result in body shaming. Moreover instances of bullying, difficulty in relationships and jobs that require people who are thin encourage individuals to start dieting, but when the dieting becomes uncontrolled it results in anorexia. Change in brain function or hormone levels may also cause of anorexia. Whether these changes cause anorexia or they are a result of it is debatable, as some people are of the opinion that these changes occur due to malnutrition. Either ways, the appetite of an individual is controlled by part of the brain or it produces feelings of guilt and anxiety. Genetic factors may also cause anorexia. People having a family history of depression, eating disorder or substance abuse are more prone to being anorexic. People who suffer from anorexia must have been more prone to such a condition by virtue of possessing certain behavioural and personality traits. People having anorexia often find it difficult to handle stress, hence they are more likely to feel depressed and anxious. They are worried and doubtful about what will happen in the future. They also set strict goals and standards to be fulfilled and refrain from expressing their emotions. They might also have an obsession or a compulsion with regard to their urge to perform an act. Also many anorexic people have an over arching fear of becoming fat. Anemia: Due to intake of less food, the body does not get the required amount of nutrients. As there is a fall in the red blood cell count it often leads to anemia. It is accompanied with lethargy, fatigue and weakness. Heart problems: Among the common effects of anorexia are heart problems like bradycardia where the heart beats less than 60 times per minute. Here, it is unable to pump enough blood due to which oxygen does not reach the brain. A person might faint or in severe cases develop heart failure. Weakening of bones: Osteoporosis is a disorder that affects the bones. It is characterized by lowering of bone density, developing brittle bones and may also break them easily. Eating less limits the intake of essential nutrients such as calcium that are important for strong and healthy bones. 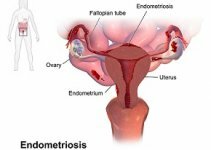 Menstrual problems in females: Extreme loss of weight due to anorexia causes the loss of fat stored in the body. This leads to lowering the levels of thyroid and increasing the stress hormone – ‘cortisol’. It eventually means reduction of reproductive hormones. Thus, the reproductive hormones are insufficient to regulate the monthly menstrual cycles and causes loss of up to three consecutive menstrual cycles. Decreased testosterone in males: Anorexia in males causes decrease in the levels of testosterone in males. Lowering of testosterone levels causes sexual dysfunctions, mood swings, loss of body muscle and hair, cardiovascular problems and insulin resistance. 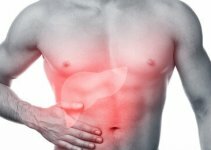 Gastro intestinal problems: Anorexia causes problems such as constipation and bloating. Less food intake results in the body getting lesser nutrients and roughage that helps the body in the process of digestion and excretion. It may also affect the heart, lung, kidney and brain. Depression, behavioural disorders and substance misuse: Individuals may also undergo depression because of their weight issues. They may suffer from personality disorder and might also indulge in alcohol and substance misuse. 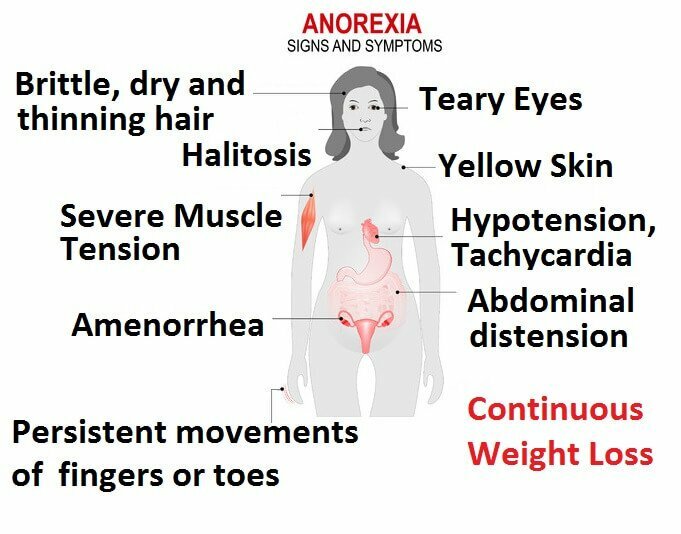 Anorexia is diagnosed by observing the individual’s family history, symptoms, present conditions, biographical history, mental examinations and the individual’s ideas and views about weight gain and obesity. This includes marking a distinction between binge eating disorder – purge anorexia and bulimia nervosa. In both the cases, the affected individual displays actions of eating in large quantities and then getting rid of the food by vomiting. But the distinction between the two emerges when the weight of the individual is taken into consideration. A person suffering from bulimia nervosa usually has a healthy weight and binge large quantities of food. While a person affected by binge or purge anorexia is necessarily underweight and purges the small quantities of food that they binge. Restrictive type (includes restriction of food intake, excessive exercising and eating only enough to stay alive). Cognitive analytic therapy: Refers to a process which is based on the belief that unhealthy patterns of behaviour in the past cause disorders like anorexia and need to be rectified by looking at past events. It also takes a look at their contribution towards the development of anorexia and figuring out changes that can break these unhealthy patterns. Cognitive behaviour therapy aims at adoption of healthier and more positive ways of thinking that results in a positive behaviour. Interpersonal therapy: It involves recognizing the fact that feelings of anxiety, low self-esteem and self-doubt contribute towards problems like anorexia. Hence it aims at resolving negative issues associated with interpersonal relationships. Focal psychodynamic therapy recognises the instances that might have occurred early in life and had a negative effect on the individual. Overall aim is to make the environment less stressful, eliminate negative situations and emotions. Family intervention: It is very important it impacts the family as a whole. The family should discuss how anorexia has impacted them and seek to find ways that could help them. Planned Meals & Food Intake: People suffering with anorexia must be advised to gain weight in a healthy manner. Food should be given in smaller quantities and then gradually increasing the quantity of food so that an individual can adjust to the intake of normal amounts of food. Gradually a healthy diet with normal meal timings must be maintained and food rich in nutrients and minerals should be eaten in order to treat the condition of malnutrition that an individual has been subject to because of anorexia. Treatment for anorexia has to continue in order to be fully cured. Therefore if an individual refuses to continue with the treatment, doctors may resolve to admit the individual to a hospital in order to continue the treatment.